Let me just start by assuring you there will be no spoilers here. I want to encourage you to read and enjoy it, not ruin the whole thing for you before you’ve even started! Book reviews are not something I normally write but I truly love to read and when I read a book that stands out as much as this and I genuinely think that you all would enjoy it, or at the very least, appreciate the premise, I am desperate to share it with you! 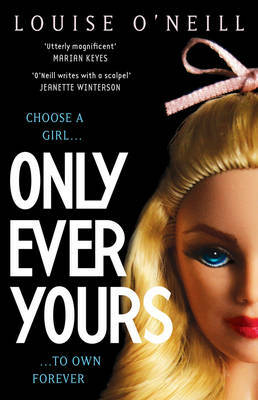 Only Ever Yours is the debut novel from Irish author Louise O’Neill. It was actually only after I read it that I found out that it was intended as a young adult novel which surprised me as I found it to be mature, intriguing and dark – bordering on disturbing due to the sheer, frightening realism. (Although, I have heard that it’s now being re-released and marketed as an adult book, but who knows). It’s set in a dystopian future where women called eves, are not born naturally but are bred and designed perfectly, and brought up in schools where they are taught to impress men and be the “perfect woman” in the eyes of this new, strange society. 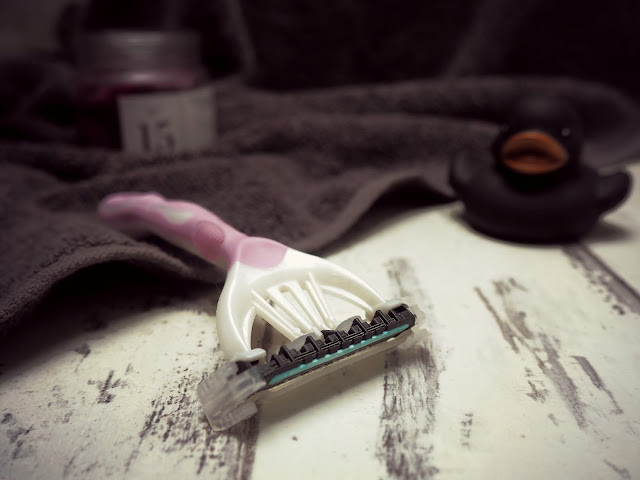 The aim of the average girl is to become a “companion” which is effectively a baby-making-machine, failing that they may become a “concubine” (a prostitute-type role) or worse, a “chastity” which is basically a nun, of sorts, who works in the schools. The society is vile. The school is vile. The characters are vile. The whole book and premise fills you with disgust and hate but you just can’t help but read on. You are sucked in because you believe it - it could be real. And it is bloody scary. The girls are taught to be thin, pretty and stupid; any academic or original thoughts are quashed. They are pitted against each and ranked in order of beauty - their whole lives are a competition. Every relationship is fickle and empty; based on jealousy, hierarchy and superficiality. Usually in a story, particularly a YA story, there are relationships to root for and feel part of, but that is severely lacking in Only Ever Yours. Another issue of mine was the absolute lack of a strong, empathetic female lead which may be surprising from a book that claims to be based on feminism, and is for anyone who has ever been made to feel crap about themselves or pressured to be someone else. The characters are all fairly one dimensional, while I do sympathise with freida (note the lack of capitalisation!) more and more as the book progresses as I think she is intrinsically a nice person, she is weak and flat. Isabel is the most interesting character in the book, managing to be a significant character while barely being present and active. Her story and relationship with freida both frustrates and intrigues you until the very last page. The other girls in the school are blatantly evil and it is impossible to empathise at all with them despite, I believe, many of us sharing very unflattering, unpleasant qualities with them. I think the fact that is it so hard to like a character that is effectively an extreme manifestation of all the worst parts of 21st century girls is quite hard to swallow. I would be interested to hear what you think about this particular aspect if you choose to read it, which I highly recommend. The ending is thoroughly shocking. Neither I nor my housemate predicted it and I think it rounds off the book perfectly. It is extremely well paced which something that I really appreciate in a novel and it kept me gripped from start to finish with my mouth agape for some time after I turned the final page. Overall, while I note the absence of a strong leading lady and I can’t help but feel that it is lacking in a strong plot at times, the premise of the book does allow for these faults as it is just so interesting. Dystopian novels are nothing new and it is pretty much a modern adaptation of The Handmaid’s Tale which many have criticised, but the references to modern society (spot the Kardashians and layering on the filters while instagramming all their meals) are very clever and grounds the story even further in reality. I thoroughly enjoyed it and couldn’t put it down. It really is a thought-provoking and ultimately sickening piece of fiction, or non-fiction as the case may be! Please tell me your thoughts on this book, O’Neill clearly wanted to start a discussion so let’s not let her down! Did you love it or hate it? Do you have any other novels that you think are as relevant today as this? I've never heard of or read a book following this kind of plot before, it's certainly no Harry Potter! This book sounds awesome! I'm definitely going to give it a read soon!